In our previous blog, we discussed the signs that indicate you need a new roof. A roof replacement is an opportunity to update your roof’s aesthetics and functionality as well as its lifespan. Here are the roofing materials that you should consider for your roof replacement. Three-Tab Shingle — This is the most common type. It consists of a single layer of backing, asphalt and granules, and creates a flat, uniform look upon installation. Laminate Shingle — Also known as dimensional or architectural shingles, it’s basically a dual-layer shingle, with the top layer especially cut to create a visual effect reminiscent of wood shakes. The added thickness contributes to its durability and weather resistance. Laminate shingles are generally sold with a wider selection of colors, including multicolor “blends”. Specialty Shingle — Specialty shingles have the same features as laminate shingles, but with unique shapes for specialty applications. This includes fish-scale and clay tile-like shingles. If roofing materials have the equivalent of a rising star, then metal gets that distinction. Metal roofing is light and durable, and has an exceptional lifespan. It can handle high rainwater volumes and works with nearly any home style. Metal roofing works in both residential and commercial roofing applications and is available in virtually any color. Slate is a naturally sourced roofing material that lasts for 100 years and is ideal for roofs with steep slopes. Slate roofing is easily repaired and requires minimal maintenance. Note that slate is much heavier than asphalt shingles, which means your existing roof may require additional framing before a new slate roof can be installed on it. Tile roofing is usually associated with Spanish and Mediterranean architecture, and is notable for its rustic beauty, exceptional durability and long lifespan. Alternatively, you can choose concrete tiles, which are more affordable than traditional clay tiles. 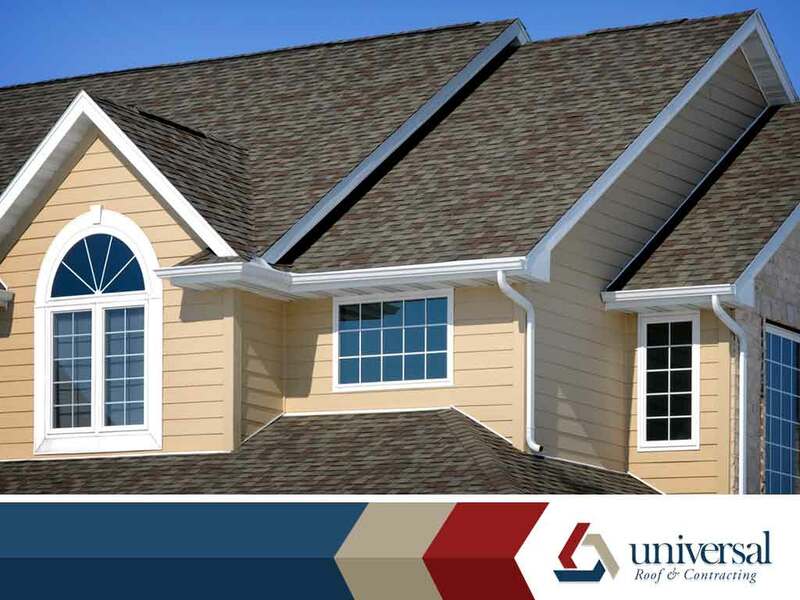 To learn more about our repair and installation services, call Universal Roof & Contracting today at (407) 278-2686 (Orlando) and (904) 416-1399 (Jacksonville). You can also fill out our contact form to schedule a free inspection and estimate. We serve Orlando, FL, and surrounding areas.